In this ONN VR headset review, we will cover all the major details of ONN’s entry-level headset. 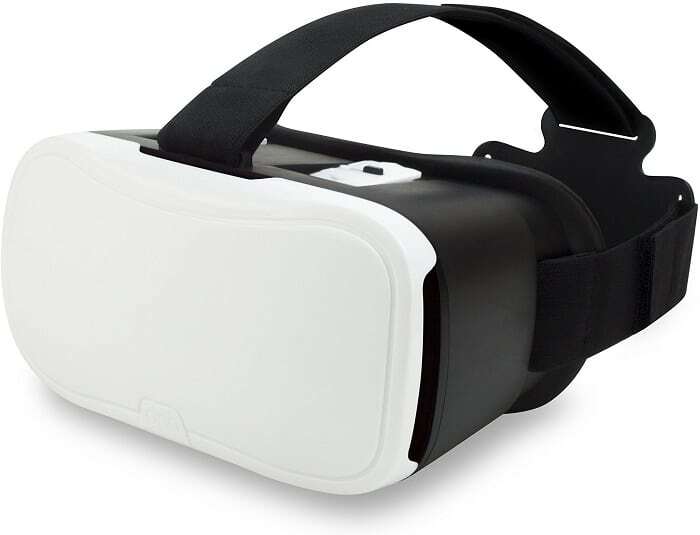 Priced at just $7.50, VR enthusiasts are highly skeptical of the affordable device. The headset is especially attractive to kids because it’s available in several bright colors. Because of the device’s compatibility with most phone models, ONN is marketing the headset’s extreme ease of access. But, beyond its popularity with children, is the headset worth looking at for a true VR experience? Foam padding that blocks out most external light. An adjustable nylon head strap for universal comfort. Compatibility with phones featuring screens of up to 6 inches. Optical focus and lens customization. Availability in blue, pink, red and white. At $7.50, the device is less expensive than even its cardboard competitors. The device is very much ‘plug-and-play’, and it requires little setup. The materials are of decent quality for the price. 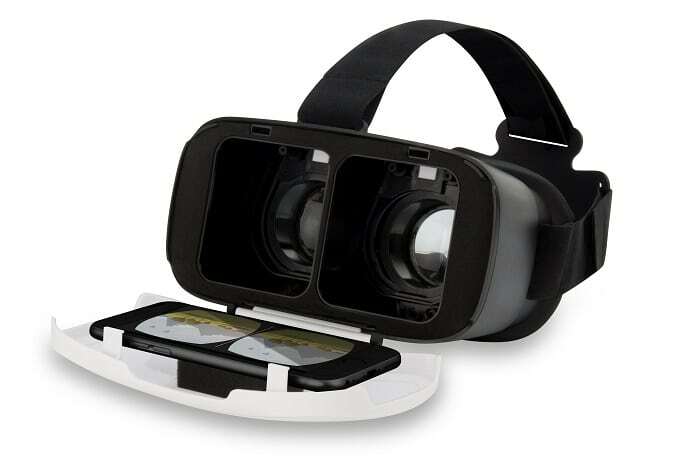 The device is suitable for very basic VR tasks like watching YouTube videos. The device is cumbersome and does not distribute weight evenly. Despite your best efforts, an absolutely clear picture may not be possible. Some popular phones are too big for the cradle. No built-in button for navigation leads to accessibility nightmares. The ONN VR headset delivers the exact quality one might expect from a device priced lower than $10. It boasts no impressive quality-of-life features, is sometimes quite uncomfortable to deal with and should only serve as the gateway to the world of virtual reality. The ONN VR headset is top heavy, and it puts a lot of strain on your neck over the course of longer viewing sessions. The foam padding does little to disperse the weight evenly across the viewer’s head and face. The nylon straps, on the other hand, are the lone bright spot of the headset’s design; unlike many other straps, these maintain a comfortable level of grip in the back. The lenses also ship with an unnoticeable strip of protective plastic. Users have reported going weeks without realizing to remove this strip. Overall, the device’s low-budget nature emanates from nearly all aspects of its design. One bonus, however, is that we couldn’t find a single ONN VR review pointing to defective out-of-box hardware. Perhaps the most important part of this ONN VR headset review is the measure of its visual performance. Unfortunately, this is the category in which the headset falls the shortest. The lenses are adjustable with knobs located on the top of the device, but many users have reported inability to hit the ‘perfect’ spot for their viewing needs. What’s worse? Even with perfectly adjusted lenses, the headset fails to live up to even the lowest visual benchmarks set forth by competing devices of the cardboard variety. At all times, the lenses dampen your screen’s colors and generally distort the picture. Adding insult to injury, one ONN VR headset review after the next mentions how the lens knobs slip out of place. Users can expect to regularly break from their virtual reality experiences because of these loose knobs. In all fairness, some competing models don’t offer lens adjustments in the first place. Many of those devices, however, allocate more resources to making sure the lenses are universally acceptable. The ONN VR headset ships with a built-in headphone access port. This means your phone is the only factor determining your audio quality when using this device. Sadly, the phones with the best built-in sound cards are often too large for the cradle. Some apps are even beginning to favor headsets with better audio functionality. Other VR headset brands are creating devices with access to 3D sound in the 50-dollar price range. Users planning on utilizing VR sound may simply need to look in that price bracket. This device may only serve to bolster the media you would view on your phone outside of virtual reality. Controller support is a strange point of contention for the ONN VR headset because it doesn’t feature a built-in navigation button. On the one hand, users will need some type of remote or controller to easily manipulate their VR experience. On the other hand, the headset costs $7.50 and clearly doesn’t ship with a controller. Therefore, conveniently using this device costs the price of the headset plus the cost of an entry-level controller. Without investing in a controller, users can expect to battle with the carrying cradle at every juncture. Navigating through basic apps like YouTube will require an incessant series of in-and-out with your phone. Without a controller, in-depth applications requiring any user input whatever are out of the picture entirely. All parts of this ONN VR headset review point to the device’s inability to support a VR gaming experience. Outside of the most basic games, this headset lags behind its cardboard competitors in terms of gaming performance. The headset is unoptimized for VR gaming at the most basic level. Despite a number of unpleasant features covered in this ONN VR headset review, the device is essentially the cheapest product on the market. With that in mind, it’s a suitable product to test whether VR is something you’d like to invest in further. So long as you avoid games, and you come in knowing the limitations, the ONN VR headset can be an interesting purchase. But, if you find yourself enjoying VR, you should consider upgrading as soon as possible.